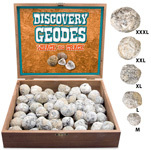 This handy kit includes a velvet gem bag for cracking geodes and instructions. 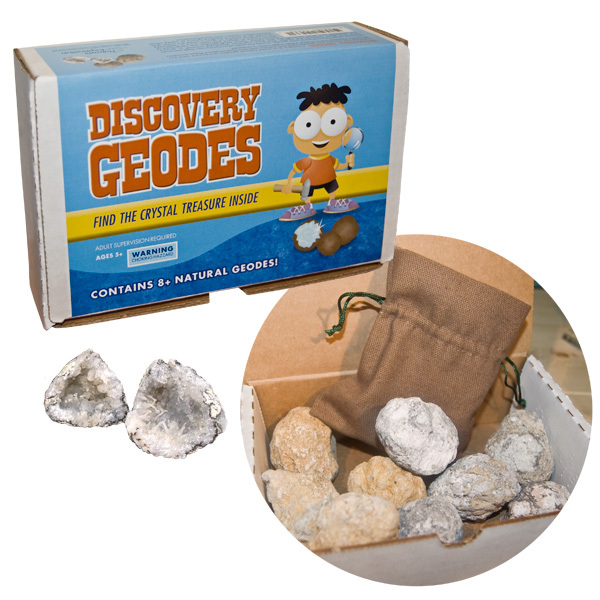 The 8 or more geodes in the kit allow kids to discover the unique contents of each one. The geodes are a mixture of larger Morocco geodes and smaller Mexico geodes. Hammer not included. These small hollow geodes are composed of various forms of quartz. The inner core is commonly the crystaline variety, while the outer skin is made up of microcrystaline quartz or agate. 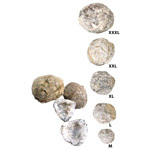 They are formed from volcanic gas balls which cooled and formed hard outter coatings. The inside is mostly hollow with many crystals that formed when the minerals and gases cooled. Occuring in egg form, these geodes or ÒocosÓ, which are most common in Brazil, are similar to the North American Òthunder eggsÓ.